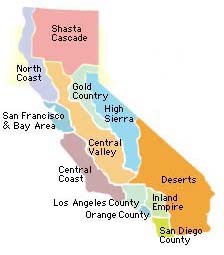 CaliforniaChess.com News and Club Information. 7-SS, LAX Radisson, 6225 W. Century Blvd, Los Angeles, CA 90045. $$8,000 b/240, half of each prize guaranteed. Choice of 2 schedules: 3 1/2-day schedule plays all rounds at 40/2, SD/1. 2 1/2-day schedule plays first 3 rds at G/1, others at 40/2, SD/1. Amateur, open to U1800/Unr, $$600-300-150, U1600 500-250-150, U1400 400-250, U1200-150, Unr. 150. Unr. may win Unrated prize only. All, EF $59 if received by 6/29, $69 at site. SCCF memb. required of So. Californians ($14, jrs. U18 $9, includes Rank & File magazine). Reg. 8:30-10 a.m. Sat. (3 1/2-day), 9-9:30 a.m. Sun. (2 1/2-day). Rds. 10:30-4:30, 10:30-4:30, 7, 10-4:30 (2ï¿½ day sched. plays Rds 1,2,3 at 10, 12, 2 Sunday, then merges). One or two 1/2-pt. byes in rds 1-5 with advance notice. HR: $99, (310) 670-9000 or toll-free at (800) 333-3333, mention Pacific Southwest Open, on line at www.radisson.com (use group code CHESS). Parking $5/day. Ent: SCCF, c/o John Hillery, 835 N. Wilton Place #1A, Los Angeles CA 90038, on line at www.westernchess.com . NS. NC. F. GP: 30. State Championship Qualifier.